As the story goes, the formula for the alkaline glaze used in Catawba Valley pottery traveled from China to Charleston via 18th-century French Jesuit priests, who passed it on to Charlestonian potter Abner Landrum. He, in turn, brought the glaze to Edgefield, South Carolina, in the early 1800s, and it made its way up to the Catawba Valley. Fast-forward to the 1980s, when Vale potter Kim Ellington learned it from Burlon Craig, whom Ellington calls “the last person standing” in this “pure folk tradition.” In that way, Ellington’s own work can trace a direct lineage back to the early days of the North Carolina frontier. After studying at what is now Haywood Community College’s Program in Professional Craft, in 1982 Ellington opened a pottery shop in Hickory, using manufactured clays and forms he’d learned in school. People began bringing in pieces of bulbous, ash-glazed pottery and asking if he could identify them. “I’d never seen anything like it,” he recalls. Tracing it back to its point of origin, he found a place called Cat Square and a pottery legend named Burlon Craig. “He blew my boat out of the water,” says Ellington. 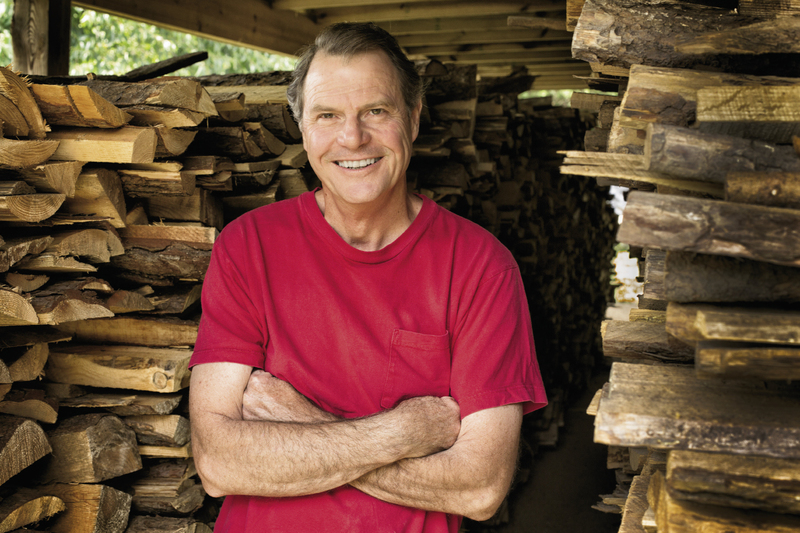 “I chucked seven years of experience and found a new way through the old way.” Through Craig, Ellington learned to build a traditional kiln called a groundhog kiln. And Craig gave him the formula for the wood-ash glaze not in writing, but by passing it from mouth to ear, the way it had been done for more than 250 years. “When I think about it, I realize that I was part of something very special,” he says.